Whether you’re watching a movie, hanging out with friends, or simply studying for a test, popcorn is almost always a great choice for when you need a snack. Earlier, our options would be limited to either plain or salted popcorn, but not anymore. Not only are there various kinds of flavours, but also different ways of cooking them! With the variety of options now available, it can be difficult to know which one, would be the best one for you. 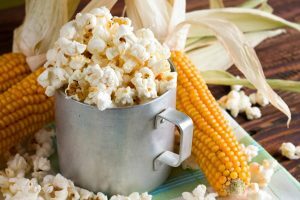 Therefore, to help you out, in this article, we will talk about all the factors you need to keep in mind, in order to choose the best popcorn for yourself, and we shall also give you a list of the top 10 best popcorn on the market. It’s not just the flavours you need to focus on when you’re choosing popcorn, there are a few other points you must remember, to choose the best one. One of the first things you need to decide is whether you want to have freshly popped popcorn, or if you’d much rather get already popped packs. 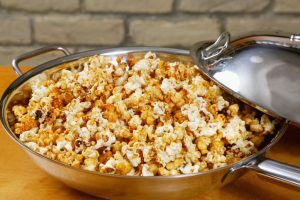 If you do wish you pop the kernels yourself, then consider the two ways popping – stovetop and microwave – and choose the one that suits your needs the most. If you want popcorn without making the least bit of effort, then go for the already popped ones; they’re pre-popped and flavoured, so all you need to do is open the pack and eat. There is a cost for this convenience though, and that is the much heavier price tag that comes along with these sorts of popcorn. Another factor that makes these seem worth the extra buck, is that pre-popped packs usually have unique flavours. Since they’re more expensive though, we recommend reserving these for when you wish to treat yourself, give someone a gift, or have people over and need something to step up your snack game. Those who prefer having fluffier popcorn with a hint of smokey flavour should pop popcorn on the stove. To make the process faster, you could buy flavoured kernels, which already have oil and flavouring agents, so all you need to do is, empty the contents of the pack in a vessel and heat it up. This method is also recommended for those who are extremely particular about the quality of their popcorn, and hate ending up with a few burnt kernels, as it is easy to prevent that from happening, by making sure you remove the vessel from the stove once the popping sound begins to stop. Microwaveable popcorn is the best type of popcorn when you want it to be quick and easy, but at the same time, you also want it to be fresh and hot. These are almost always flavoured, and usually contain a lot of oil, so they’re not great for healthy snacking; it’d be better keep these for spontaneous movie nights and such. The flavour is the second aspect you need to consider; decide whether you want your popcorn to be flavoured, or whether you’d prefer to have it plain. If you do want it flavoured, you must also choose what sort of flavours you’d like. Unflavoured popcorn kernels are great for those who want to control what sort of oil is used for cooking them, and how they’re flavoured. Which is why, we would recommend these plain types for those who’re trying to be healthy, as well as those who are extremely picky about what they eat. 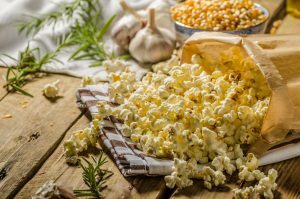 Those who want to stick to traditional flavours should choose savoury popcorn, as it’s not too different from what most of us are accustomed to. 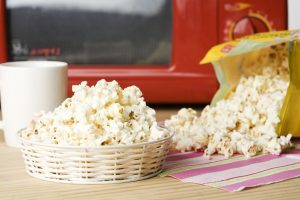 Savoury popcorn flavours are usually centred around butter, cheese, or plain salt, and tend to be the most commonly available ones, both as stovetop versions, as well as microwaveable types. If you’re feeling experimental and want to try some new flavours, then sweet popcorn is what you’re looking for. Sweeter flavours usually revolve around caramel, chocolate, or sometimes even just good old sugar. Since these flavours are still quite new in India, they’re only sold in a pre-popped way and can be quite expensive too. The previous two aspects are more or less easy to know, as they’re clearly advertised by the companies making the popcorn. 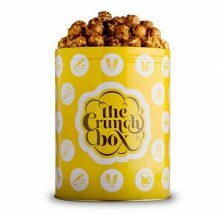 However, crunchiness is one factor that you cannot trust the manufacturers on; in order to know whether a particular pack of popcorn is crunchy or crispy, you must go through the reviews online, and check what others have said about it. 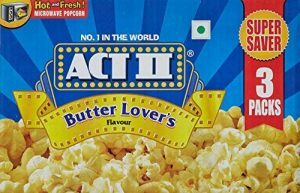 Now that you know everything you need to keep in mind while choosing popcorn, it is time for us to reveal our picks for the top 10 best popcorn you can buy online in India. If you want to make sure that your popcorn kernels are as fresh as they can get, then these are the ones you need to get. They’re great for making popcorn on the stove, and since they’re unflavoured, you can add whatever oil and spices you want, to flavour them the way you like, while also keeping them healthy. The reason they’re so far down on the list is that they’re one of the most expensive kernels on the market, almost the double of how much most others cost. Additionally, once the kernels have popped, you realise that they’re not quite as big you’d expect them to be, and it’s pretty hard to get all of them to pop properly anyway. Those looking for a travel-friendly pack would love this popcorn, as this is properly sealed, and won’t go stale unless you leave it open. It’s already popped, so you don’t need to cook it, and the amount is perfect for a small snack. It’s also great for those who want to be healthier, as this is better than most other snacks you might get. Although it’s a healthier choice, it might seem quite expensive for a small snack, and if you’re someone with a bigger appetite, then this would hardly be enough. The flavour might not be something everyone can appreciate either, as it’s a mix of sweet and salty, and is different from the usual savoury snacks that many of us are used to eating while travelling. 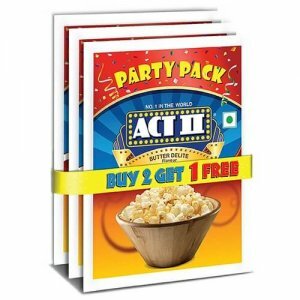 This is what you need if you want to get a large amount of sweet popcorn share with others during a movie night or a get-together. Although the name suggests that it’s just chocolate, it’s actually caramel popcorn covered in chocolate sauce, making it one of the sweetest popcorn you can find, and an absolute joy for those with a sweet tooth. Since it is covered in chocolate, it is not the crunchiest popcorn you can find on the market, so if that’s what you’re looking for, then this isn’t the right choice for you. Furthermore, we wouldn’t suggest getting this popcorn if you’re planning to eat it over a matter of days, as this goes stale within a day or two once it’s opened. If you’re a fan of cheese flavoured snacks, then this is the popcorn for you. It doesn’t take long to cook, and unlike other microwaveable popcorn, the oil doesn’t leak through, so you can use the paper bag as a serving bowl as well. As for the flavour, it’s almost the same, if not better, than the cheese popcorn you get in theatres. However, if you’re not used to cheesy flavours, then this might not work for you, as it is quite strong. While the popcorn is considerably crunchy and fluffy, the amount you get in one bag is not too impressive, especially if you take into account the fact that this is one of the most expensive microwave popcorn on the market. 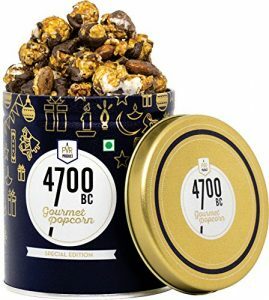 Those who need sweet popcorn as a snack for cheat days would definitely love this, as it contains almonds, which helps bring up its healthiness quotient a wee bit in comparison to others. It’s also a fairly large tin, so it would be perfect for sharing with 1 or 2 other people, and it would be wonderful as a gift too. Keep in mind, this is one of the most expensive options, so you’d have to invest quite a bit if you’re planning to make this regular snack. We would also advise you not to order it during the summer months, as there have been several cases where the chocolate coating had completely melted and spoilt the popcorn. This is the perfect choice for those who want freshly popped, savoury popcorn, without having to make too much effort. The amount of popcorn you get in one bag is enough to share with 2 to 3 people, which is why we’d recommend it for movie nights and small parties. 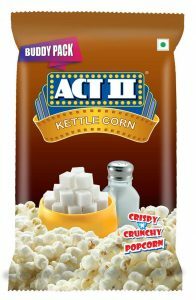 It’s also one of the most inexpensive microwave popcorn on the market, so if you’re looking for an economical option, this is it. It’s not for those who’re trying to be healthy though, because it contains a lot of oil, so much so that it almost always leaks through the paper bag, making it necessary to use a serving bowl. The kernels also burn pretty easily, so you’ll have to keep an eye on them while they’re cooking, or else you’ll lose quite a few. If you’re someone who loves snacking regularly and are looking for a healthier way to do so, these are the popcorn kernels for you. You get a huge 1 kg bag for an affordable rate, so neither will you feel guilty while snacking, nor do you need to burn a hole in your pocket to do so. 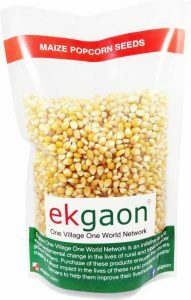 These give you fresh, crispy popcorn, especially when cooked on the stove. No matter how much you try though, not all of the kernels will pop, and some of the kernels also taste a bit off, so you’ll end up with quite a few wasted ones. Since these are plain kernels, you’ll have to add some flavour to them yourself, so unless you’re willing to work a bit on cooking these, you won’t be able to enjoy them. 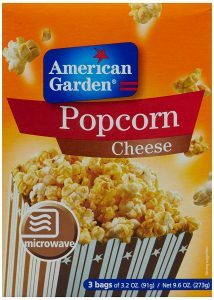 Those looking for popcorn that is perfectly coated with caramel, and is also light and crispy, should choose this one. The size of these is much bigger than usual ones, and the caramel is well balanced too, neither too salty, nor overly sweet. 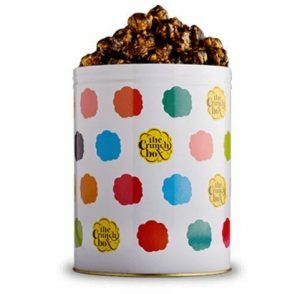 The tin is properly sealed as well, so you need not worry about the popcorn going stale during delivery. Initially, the price may seem a bit steep, but the amount you get for the price isn’t bad at all, and this would be a great buy, regardless of whether you’re buying it as a snack for when people come over for a movie night, or as a gift for someone. We should give you a fair warning though, once you start eating these, it’ll be hard to put them down. 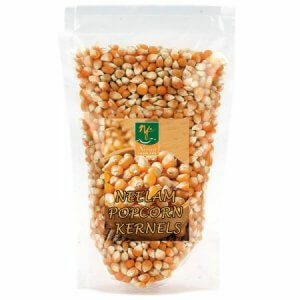 These kernels are for those who want to cook their own popcorn, so they can snack healthy. They’re just plain kernels, so you can add whatever oil and seasonings you want, according to your tastes, but if you want to, you can have without adding anything either, as they naturally taste a little sweet, with a slight hint of corn. As long as you cook these on the stove, most of the kernels will pop to give you fluffy yet crunchy popcorn, and you won’t have too many wasted kernels either. Not only do these taste amazing, they’re also really affordable, and we highly recommend investing in these if you’re particular about what you eat. 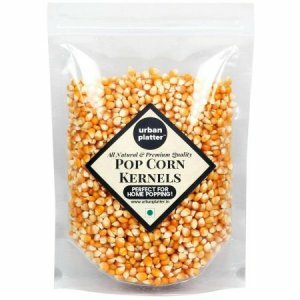 The best popcorn on the market, these are great for those who enjoy making popcorn on the stove. The amount of popcorn you get in one pack is sufficient for two people, and unlike many other butter flavoured popcorn, the flavour of these isn’t overwhelming, so you won’t feel sick, or have a strange aftertaste after eating. They’re light and fluffy, just how popcorn should be, and they don’t cost a lot either, so you won’t need to break the bank for these. 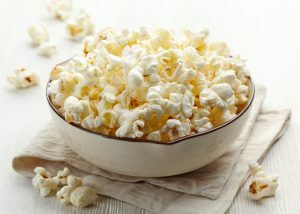 Additionally, you won’t have too many “old maids,” or kernels that do not pop, and although these are already flavoured, the amount of oil isn’t too much, so they’re not as unhealthy either. 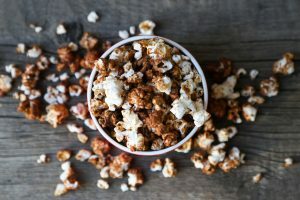 Many assume that it’s only our personal preferences about the sort of flavours we like that dictate our choices in snacks, but as you would have realised by now, it goes beyond that, at least when it comes to choosing popcorn. 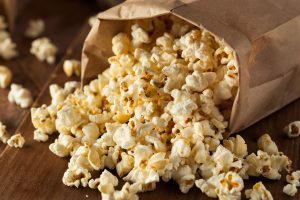 We hope after reading this article, you feel more prepared to choose the best popcorn to match your needs, and we also hope that our list of recommendations makes the process of selection even easier for you.